MISSOULA, Mont.—The Oregon Court of Appeals granted the Rocky Mountain Elk Foundation’s application to file a friend-of-the-Court brief in a lawsuit by animal rights groups seeking to eliminate state wildlife management in Oregon. As of December 31, 2015, Oregon’s minimum wolf population estimate numbered 110, marking a 26 percent increase over the 2014 population and a 42 percent increase since 2013. 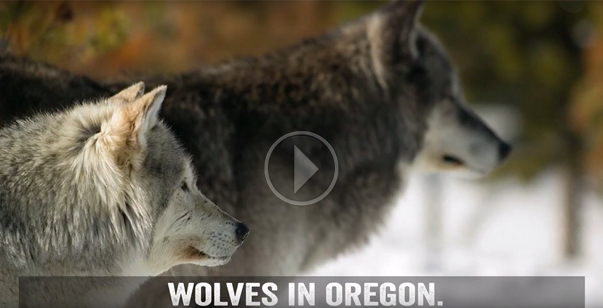 Biologists also indicate the actual number of wolves currently in Oregon is likely greater than the minimum estimate. The Oregon Fish and Wildlife Commission voted to delist wolves from the state Endangered Species Act (ESA) in November of 2015. The Oregon legislature ratified the commission’s decision by passing a bill, which was later signed into law, removing wolves from the state’s endangered species list. Those moves had no immediate effect on wolf management yet animal rights groups still filed suit seeking to reverse the delisting. The state’s Wolf Conservation and Management Plan continues to guide management of the population in the western two-thirds of Oregon with ESA-like protections that prohibit the killing of any wolf. In northeast Oregon, where most of the wolves are found, the plan emphasizes non-lethal deterrence measures to resolve livestock conflicts but allows ranchers to shoot wolves caught in the act.